Ford serviced the starter assembly used to crank 428 CJ and SCJ engines using basic part number 11002. 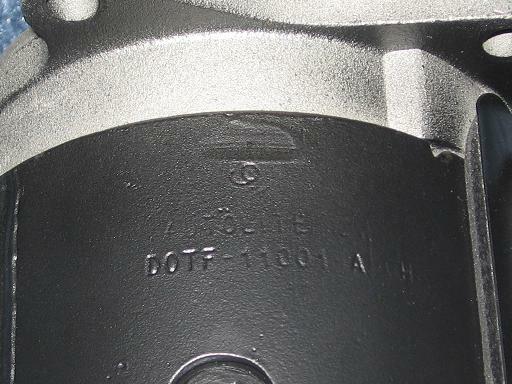 The starter case is marked with an 11001 engineering part number and a date code. 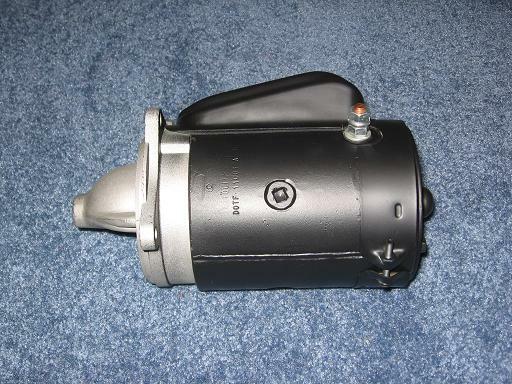 The starter used on 428 Cobra Jet Mustangs is a 4.5", 12v, positive engagement starter that does not include an integral solenoid. The solenoid is normally mounted on the right-side fender apron just to the rear of the battery. A table of engineering and service part numbers by year is included below. The C8AF-A starter was used into the 1970 model year with an unknown transition date to the D0TF-A starter. Keep in mind that all 4.5" Ford starters from this time period look a lot alike. The armature and brush holder for a six-cylinder starter will fit in the case used for a big-block starter. This can cause some problems when buying remanufactured starters from mass-market vendors, who often list these starters for use on several different Ford engines. On the other hand, it's sometimes possible to find one with "good" numbers when buying a rebuilt starter from your local auto parts store. The D0TF-A starter shown below is marked with a 0H6C (August 6, 1970, third shift) date code to the right of the engineering number. This is most likely a service replacement starter since 1971 model year vehicles were being produced in August 1970. 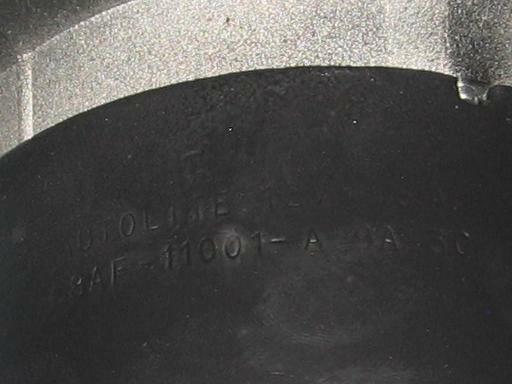 Here's an example of the markings found on a C8AF-A starter with a 9A13C date code. 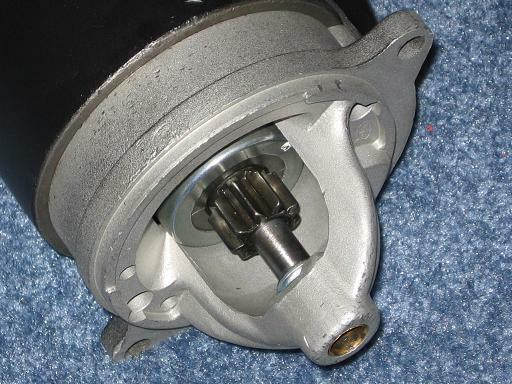 At least one original drive end housing (the part shown in the picture below) has been observed with an engineering number of C7AF-11131-A. Replacement drive end housings are often unmarked and may require grinding for flywheel clearance. 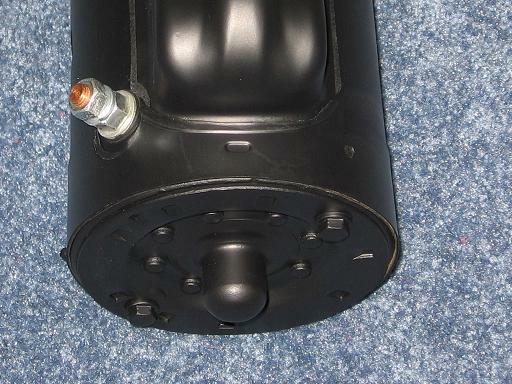 Note that the starter is painted black except for the drive end housing and the bolt used to attach the cable from the starter solenoid. Overspray is commonly found on the aluminum drive end housing up to the bolt holes. Paper-like gasket material was originally used beneath the large band clamp on the end of the housing; a small amount is visible around the cable bolt in the picture below.